The Commission on Cancer (CoC) accreditation challenges cancer programs to enhance the care they provide by addressing patient-centered needs and measuring the quality of the care they deliver against national standards. CoC accredited cancer programs draw from the expertise of the entire oncology community to improve patient outcomes across all domains of care: access and service, satisfaction and well-being, quality of care, and cancer outcomes. The CaroMont Cancer Program underwent an onsite reaccreditation survey on August 16, 2017. The outcome of the survey resulted in a full 3-year reaccreditation with Commendation level status. All of the College’s standards were met or exceeded including the Commendation level standards. As a result of the level of achievement obtained, the program is now eligible to receive the College’s highest level of designation, the national “Outstanding Achievement Award”. 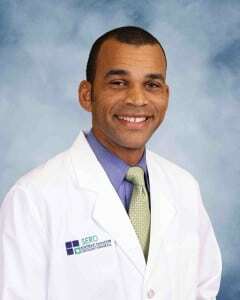 The CaroMont program is nationally designated as a Comprehensive Community Hospital Cancer Program. 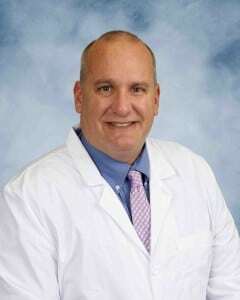 Dr. Doline, Dr. Meakin, and Dr. Butler staff the CaroMont centers in Gastonia and Lincolnton. To earn CoC accreditation, a cancer program must meet or exceed the CoC quality care standards, be evaluated every three years through a survey process, and maintain levels of excellence in the delivery of comprehensive patient-centered care. The Three-Year Accreditation with Commendation is only awarded to a facility that exceeds standard requirements at the time of its triennial survey. 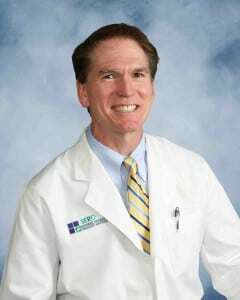 As a CoC-accredited cancer center, CaroMont takes a multidisciplinary approach to treating cancer as a complex group of diseases that requires consultation among surgeons, medical and radiation oncologists, diagnostic radiologists, pathologists, and other cancer specialists. This multidisciplinary partnership results in improved patient care. 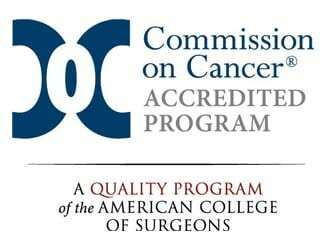 The CoC Accreditation Program provides the framework for CaroMont to improve its quality of patient care through various cancer-related programs that focus on the full spectrum of cancer care including prevention, early diagnosis, cancer staging, optimal treatment, rehabilitation, life-long follow-up for recurrent disease, and end-of-life care. When patients receive care at CaroMont, they also have access to information on clinical trials and new treatments, genetic counseling, and patient-centered services. These services include psycho-social support, a patient navigation process, and a survivorship care plan that documents the care each patient receives and seeks to improve cancer survivors’ quality of life. Like all CoC-accredited facilities, CaroMont maintains a cancer registry and contributes data to the National Cancer Data Base (NCDB), a joint program of the CoC and American Cancer Society. This nationwide oncology outcomes database is the largest clinical disease registry in the world. Data on all types of cancer are tracked and analyzed through the NCDB, enabling researchers to explore trends in cancer care. CoC-accredited cancer centers, in turn, have access to information derived from this type of data analysis, which is used to create national, regional, and state benchmark reports. These reports help CoC facilities with their quality improvement efforts. There are currently more than 1,500 CoC-accredited cancer programs in the U.S. and Puerto Rico. The American Cancer Society estimates that more than 1.6 million cases of cancer will be diagnosed in 2016. CoC-accredited facilities diagnose and/or treat more than 70 percent of all newly diagnosed cancer patients. When cancer patients choose to seek care locally at a CoC-accredited cancer center, they are gaining access to comprehensive, state-of-the-art cancer care close to home. Established in 1922 by the American College of Surgeons, the Commission on Cancer is a consortium of professional organizations dedicated to improving patient outcomes and quality of life for cancer patients through standard-setting, prevention, research, education, and the monitoring of comprehensive, quality care. Its membership includes Fellows of the American College of Surgeons.